Read the updated Regional Refugee Response Plan and access the Latest Updates on the Burundi Situation. The political crisis and related security and humanitarian conditions in Burundi have led to the outflow since April 2015 of more than 400,000 Burundian refugees to neighbouring countries and beyond over the past two and a half years. 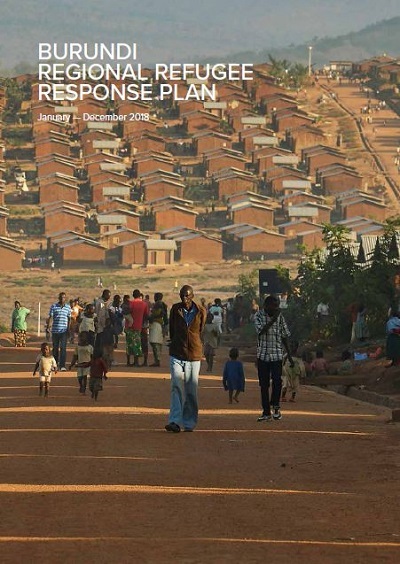 This response plan includes an additional 37,000 Burundi refugees who were already present in the Democratic Republic of the Congo (the DRC), Rwanda, Tanzania, and Uganda. Tanzania is the largest host of Burundian refugees in the region with 256,000 refugees as of October 31, 2017 (of whom 236,000 are camp based). In Rwanda, there are 88,000 Burundian refugees mostly hosted in Mahama camp, with others residing in urban areas. The DRC hosts 45,000 Burundian refugees, predominantly in Lusenda camp in South Kivu, with the remaining families in transit centres or hosted by communities in Katanga, Maniema and North Kivu provinces. In Uganda, there are 39,000 Burundian refugees, hosted in the previously existing Nakivale settlement. In 2016, the total number of arrivals of Burundian refugees in the four major countries of asylum came to 123,000. During 2017, the Burundian refugee population increased by 61,000 as of 31 October 2017. Regionally, 86 per cent of Burundian refugees are hosted in camps, with 14 per cent living in urban areas.